With the use of quick watering system, a 24-coach train can be filled up within five minutes and multiple trains can be simultaneously watered at the same time. 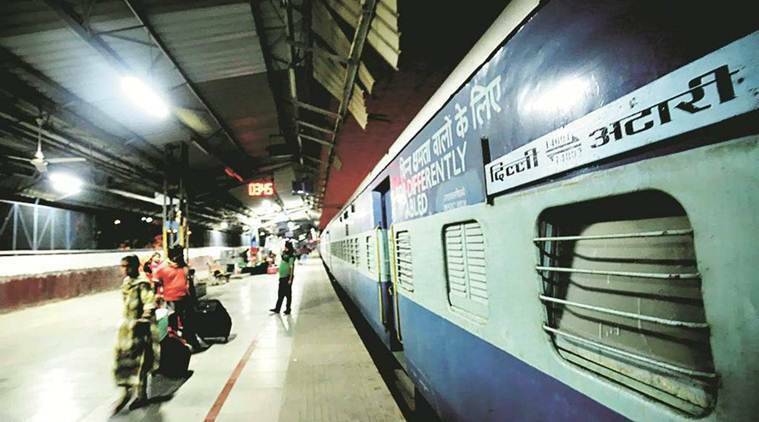 Water woes onboard trains will soon be a thing of the past with railways set to introduce a system which will reduce water filling time from the existing 20 minutes to just five minutes at stations. The Railways will introduce the system in March next year at over 142 stations which have the water filling system for trains. Recently the rail board sanctioned Rs 300 crore for the project. According to the plan prepared by railways, water in long-distance trains which are used in toilets and washbasins are filled every 300-400 km, even if they are not empty, to ensure that there is adequate water in the coaches. “Earlier the water in the coaches were filled with the help of four-inch pipes. These would now be replaced with six-inch pipes with high power motors and the water would be supplied to the train coaches through a computerised system called SCADA (Supervisory Control And Data Acquisition), designed by RDSO,” said Railway Board Member (Rolling Stock) Rajesh Agarwal. The old pipes, the document said did not have enough pressure and took around 20 minutes to fill the tanks with capacity of 1,800 litre of water in a coach, which resulted in shortages. A senior official of the ministry said that the national transporter receives a lot of complaints about inadequate water in coaches and this system would ensure that there will be no water shortage in trains because the time to fill up the tanks was minimal. “It took so much time that it was difficult to fill enough water at watering stops. Now, there will not be water shortage,” the official said. He said the ministry has planned to install pumps of 40 horsepower to increase the water pressure.